It all started in 2006 when the idea of starting a website on air conditioners came about after working for more than 13 years in a manufacturer of heating, ventilation, air conditioning and refrigeration(HVAC & R) multi-national company. With a degree in engineering, I headed the design section of electronic controls for a number of years. These working years had enabled me to gain invaluable insights into the operations of window air conditioners, ductless split air conditioners, ductless split heat pumps, recreational vehicle refrigeration, chillers, building automation controls and related systems. The drive to start this website did not begin until two years later in 2008. By then, I had left my regular job and was involved in project management of information technology related projects. Further exposure to the rapid evolution of internet has convinced me that sharing what I had learnt in the HVAC & R industry will be a good thing to do. The first digital publication was finally realised on Feb 29, 2008. 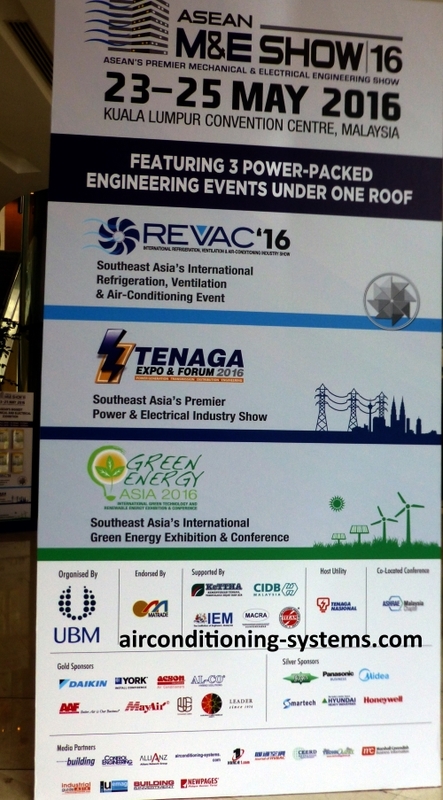 Airconditioning-Systems.com is one of the media supporters during the refrigeration, ventilation and air conditioning show in Kuala Lumpur. I am passionate about promoting greener and alternative energy as well as doing our parts to reduce our dependent on fossil energy. The protection of the ozone layer is also a priority to me too. In general, air conditioners equipment take up approximately 25%-40% of our energy consumption hence any improvement to the efficiency of the equipment will definitely help to reduce global warming. Our earth is getting warmer by the day and if no effort is taken to reduce the causes of it, not only the present but worst still, our future generations will suffer even more for the consequences of our uninformed actions. This is where education in choosing(such as 100% ozone friendly and low global warming causing refrigerants), designing more efficient equipment, better control systems and the optimum use of equipment come in handy.